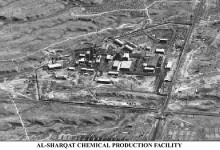 Al Fajar, located at al-Shirgat in Jabal Makhul, was to be a calutron facility for enriching uranium to weapons grade. The Ash Sharqat facility, located south of the northern Iraqi city of Mosul, was a twin to the Tarmiya Uranium Enrichment Facility. 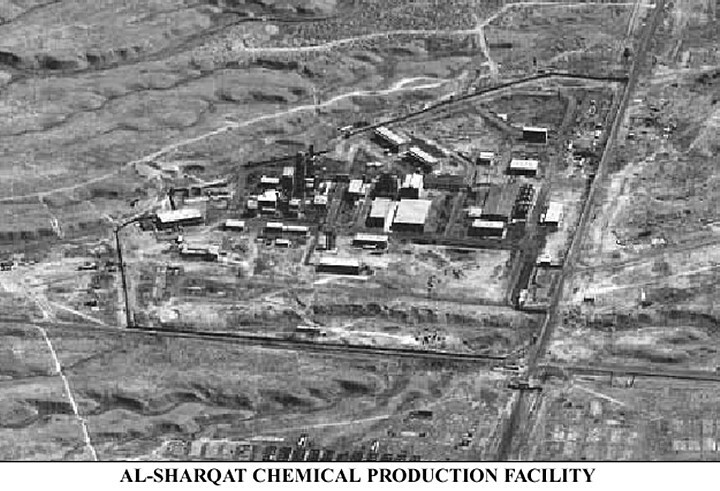 The facility at Ash Sharkat had initially been declared to the IAEA as a non-nuclear plastic coating plant. During the Gulf War in 1991 Facility 555, the "al-Fajr" facility was perhaps 20-30% destroyed. However, this was an illusory accomplishment as Facility 555 had almost no equipment in it at the time of the airstrikes. Facility 555 was intended as a duplicate of the Facility 411 Al Tarmiyah electromagnetic isotope separation (EMIS) facility. The site was still under construction in 1991. Iraqi authorities eventually admitted that the facility which had initially been declared as a non-nuclear plastic coating plant, had been intended as a duplicate of the plant at Tarmiya. The location of this facility is unclear. According to UNSCOM, Al Fajar is located 255 km NW of Baghdad. No other placenames beginning with Faj are attested. The NIMA gazetteer attests Sharqat and another Sharqat, but it does not attest any other placename begining with Sharq, such as Al Sharquai. Variants such as al-Shirgat or Ash Sharkat are also un-attested. Under the assumption that the al-Fajar facility is similar in scale to the Tarmiya facility, it should be detectable with 10 meter resolution imagery. In addition, a low oblique aerial view of the facility is available from the IAEA, which confirms the large scale of the facility, though it differs in the details of the layout. According to the British dossier Iraq's Weapons of Mass Destruction released in September 2002, Iraq had built a large new chemical complex, Project Baiji, in the desert in north west Iraq at al-Sharqat, where the former uranium enrichment facility stood before being damaged during the Gulf War and rendered harmless under supervision of the IAEA. Part of the site had reportedly been rebuilt, with work starting in 1992, as a chemical production complex. Despite the site being far away from populated areas it was reported to be surrounded by a high wall with watch towers and guarded by armed guards. Intelligence reports also indicated that it will produce nitric acid which can be used in explosives, missile fuel and in the purification of uranium.